Scientific research is a living, flourishing endeavor. It is the sum of the work carried out in thousands of laboratories around the world, with researchers examining their own ultra- specific research areas to better understand science and, in some cases, improve our quality of life. From neural computation that models the brain's design and construction to molecular self-assembly, which gives geckos the ability to climb walls, scientists are perusing topics that cross the boundaries of traditional scientific disciplines and journal categories. With R&D budgets under pressure, funding bodies and academic and corporate research institutions are all looking for smarter ways to assess and distribute their precious funds. At the same time, researchers and research administrators need tools to help them compete for the funds through the identification of top performers and groups in specific research areas for partnership and collaboration opportunities. 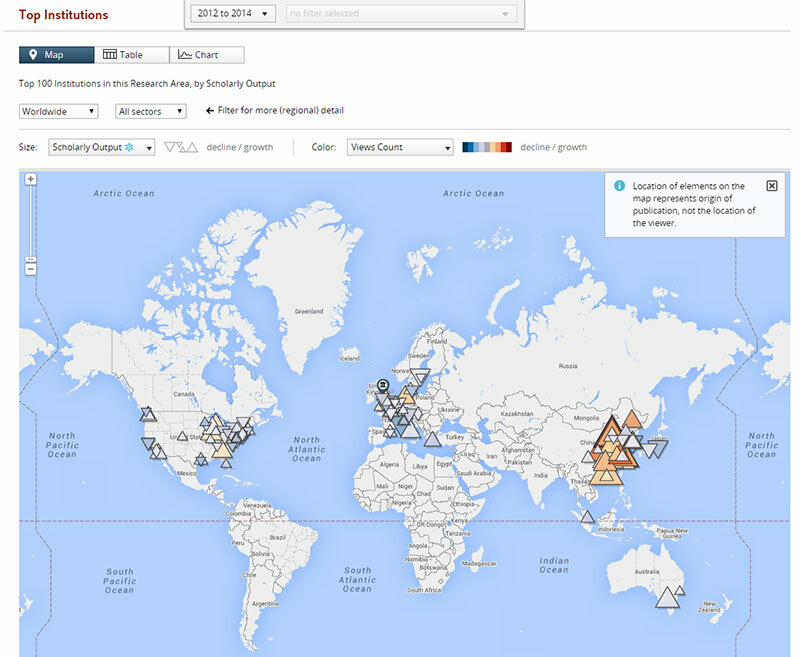 In early 2014, Elsevier launched an updated version of SciVal, which is used to analyze and benchmark research globally while defining and examining custom research areas. The Trends module, which has been developed as a direct request from customers, builds on the platform's ability to examine user-created research areas. By enabling deeper analysis of these research areas, the tool can help users discover the top-performing countries, institutions, authors and journals and compare them to the performance of their own research groups. In addition to the regular citation and publication metrics in SciVal, the Trends module incorporates usage data from ScienceDirect and Scopus. This data complements traditional citation metrics by exposing reading patterns, which can give an earlier indication of the popularity of research and help identify the rising stars of a specific topic. With roughly 30 percent of all researchers classed as non-publishing – and hence non-citing – usage metrics provide some visibility to this important but rarely seen group who are "hidden" from citation-based metrics. With the combination of publication and usage data along with SciVal's powerful analytic engine, the Trends module aims to help users answer the enormously diverse questions they face in the management and practice of research. Sample search: Who are the key players in cancer research during the past three years? With a scholarly output of nearly 100,000 publications captured in Scopus between 2012 and 2014, the area of cancer research is large and has been viewed more than 688,000 times in Scopus. 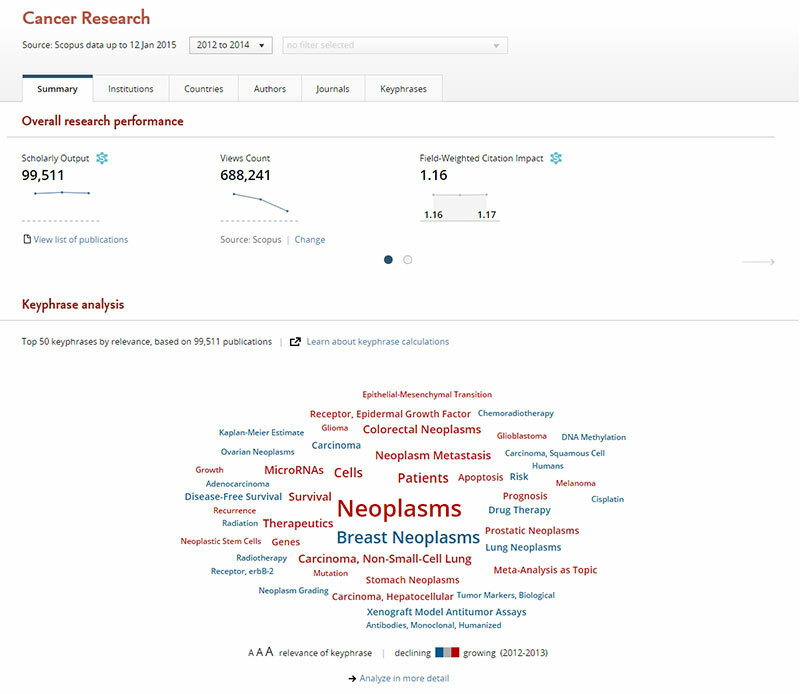 When those 100,000 articles are run through the Elsevier Fingerprint Engine, we see a word cloud of the most relevant keyphrases, the most prominent of which is neoplasms. 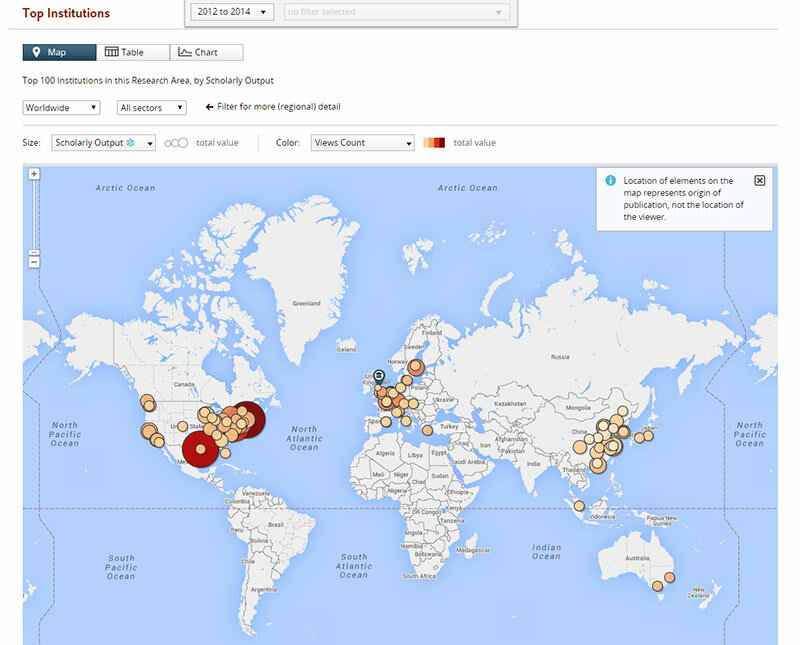 When we look at the top-performing institutions in scholarly output (circle size) and view counts in Scopus (color), we can clearly see that Harvard University and MD Anderson Cancer Center with their large red circles lead the field. When we change the view to show the growth in scholarly output and growth in views counts, the map changes to show institutions in China, such as the General Hospital of People's Liberation Army and Soochow University, as the rising stars in the field. 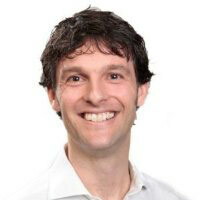 Chris James is Marketing Manager for Elsevier Research Intelligence, responsible for marketing and communication initiatives of SciVal and Analytical Services. He joined Elsevier in Amsterdam in 2004 and worked for four years as a Customer Marketing Manager, training his northern Europe customers on products such as ScienceDirect, Scopus and SciVal. 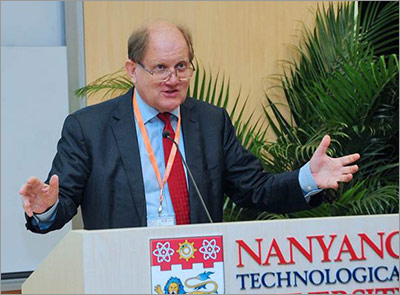 Prior to joining Elsevier, he worked at an engineering consultancy in the UK.